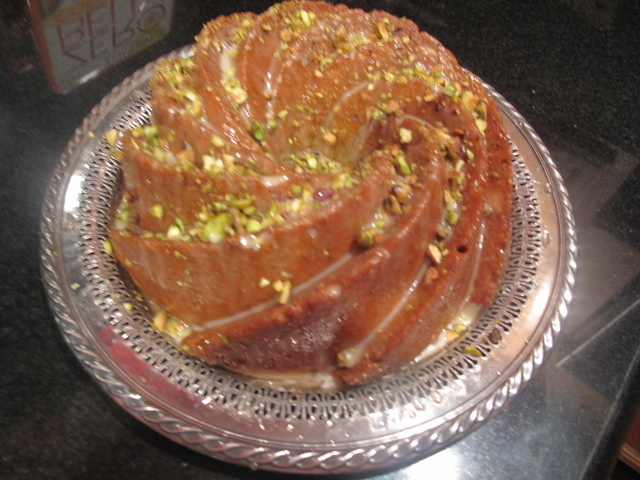 This is a very simple bundt cake that only takes a few minutes to whip up, it bakes for about an hour and then has a simple glaze and quick lemon icing drizzled over it. You can use your prettiest bundt pan and have it on hand for tea or snacking. 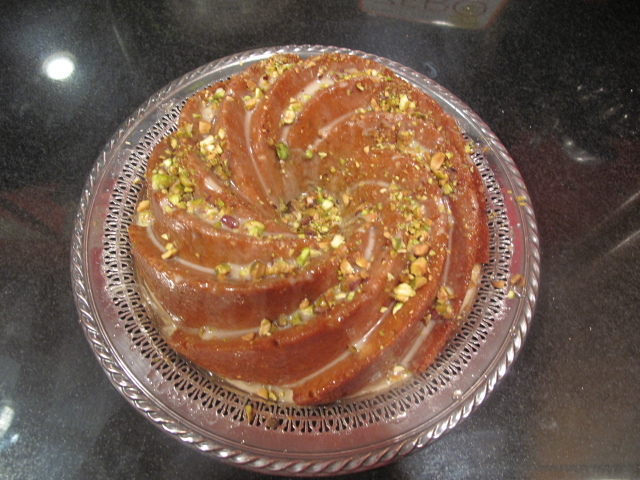 A light lemony cake enhanced by lots of ground pistachios and a good dose of rum for good measure. I imagine you could substitute almonds and bourbon or pecans and whiskey for other variations. Do try it. 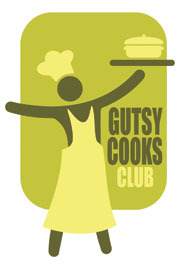 Begin by preheating your oven to 350 degrees F. Grease and flour a 12-cup Bundt pan and set aside. In a medium bowl, whisk together the flour, baking powder, and salt, set aside. Beat the butter and sugar on medium speed with an electric mixer for 3-4 minutes until light and fluffy. Add the ground pistachios, lemon zest, and vanilla. Beat until incorporated. Then beat in the eggs, one at a time. Reduce the speed to low and beat in the flour mixture and rum alternately, ending with the flour until just incorporated. Add the batter to the prepared pan, leveling out the top with the spatula. 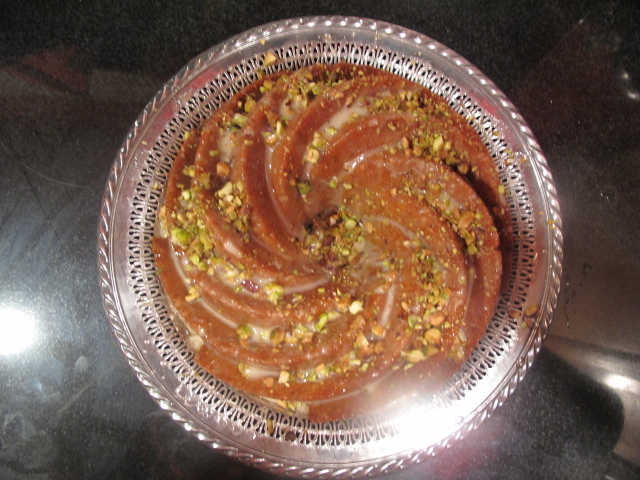 Bake for 60-65 minutes or until a toothpick inserted near the center comes out clean. Cool on a wire rack for 15-20 minutes; then invert the cake onto the rack to cool completely. In the meantime, prepare your lemon glaze. In a small saucepan simmer sugar, lemon juice, and salt over medium heat until the sugar is dissolved. This will take 2 to 3 minutes. Remove from heat and stir in the vanilla extract. Allow to cool for 10 minutes and then brush the glaze evenly on the cake. 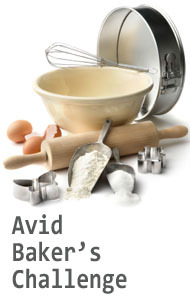 Finally, prepare the lemon icing by whisking together confectioner’s sugar, lemon juice, and vanilla extract. Add more lemon juice, 1 teaspoon at a time, to reach desired consistency. 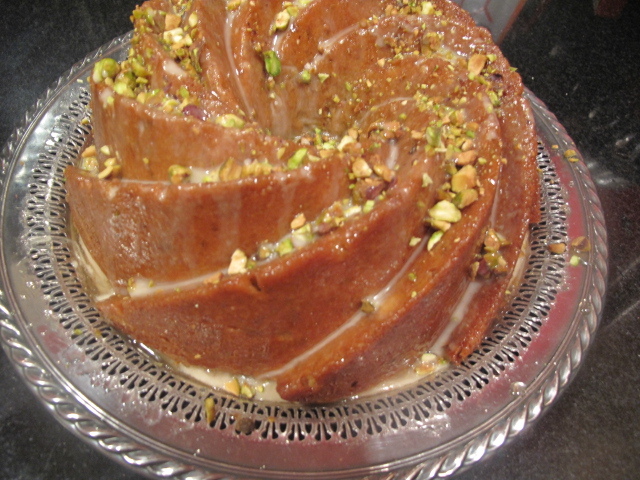 Drizzle over this icing over the Bundt cake and sprinkle it with chopped pistachios. Looks and sounds delicious! Esp the Rum part! I must go buy some pistachios! I love simple, delicious and fast to put together cakes.